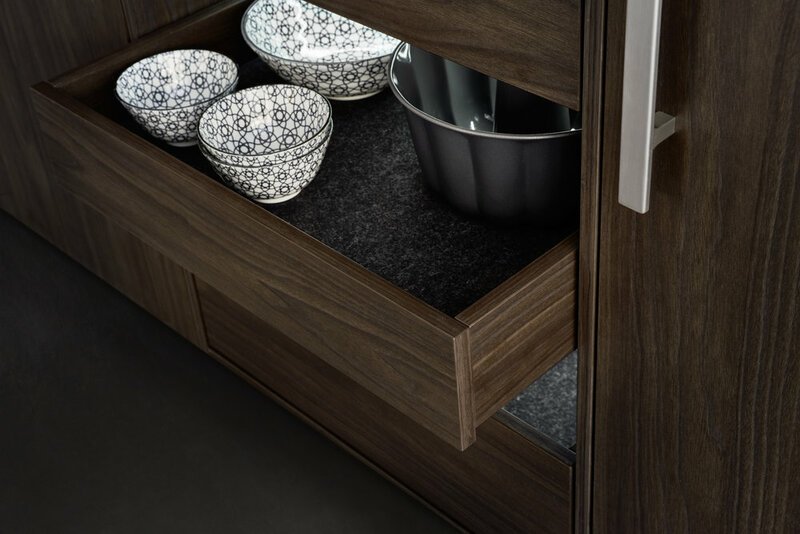 The interior concept comprising cooking run, wall units and tall unit is given a homely touch with a rear panel made of finely structured genuine wood. There is great diversity both in terms of the surfaces and what‘s inside drawers and units. The floor units featuring elegant concrete reproduction are a genuine eye-catcher.